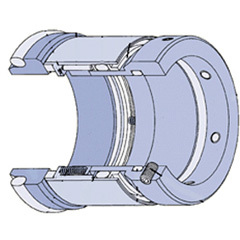 The BX is a new design of cartridge single mechanical seal. 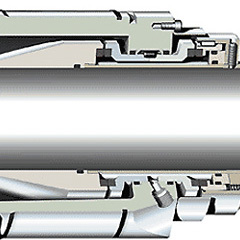 Instead of the normal pushing spring giving the spring load to the seal ring, we use a unique sleeve / spring which transfers the torque and gives the needed spring load by pulling the seal ring. 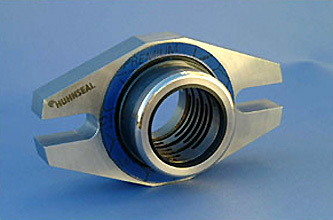 The seal can be supplied with diamond-coated seal-faces, which gives much harder faces and lower friction, compared to SiC. 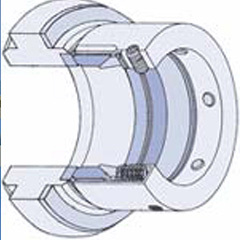 In several cases this BX seal can replace flushed dual-seals e.g. 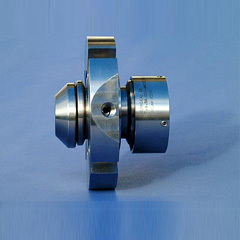 within pulp, slurry and coatings. The design is very smooth which prevents particles from sticking and also makes it easy to clean.